The cost of energy has increased from what it used to be. Some of this is due to the market or environmental factors, but in some cases, the increase of your energy bill may actually have to do with your home itself. As time goes by and your home receives normal wear and tear, openings emerge from which heat and cool air can escape. As a result, you’re often left having to keep the heat or the air conditioning on longer in order to feel comfortable. This drives your energy bill up higher and higher. As a result, you’re essentially wasting your own money by not following these few tips to improve energy efficiency at home. Insulation is meant to provide enough support to keep your walls, floors, crawlspaces, attics, and basements from leaking out too much heat or cool air. However, over time, that insulation can become old or disintegrate and may need to be replaced. If it’s received any form of damage, then it’s likely not going to perform its job right, which means that you’re going to be seeing a lot of heat and cool air escaping from your home. Thus, one way to improve energy efficiency at home is to replace the damaged or old insulation or hire someone to do it for you. 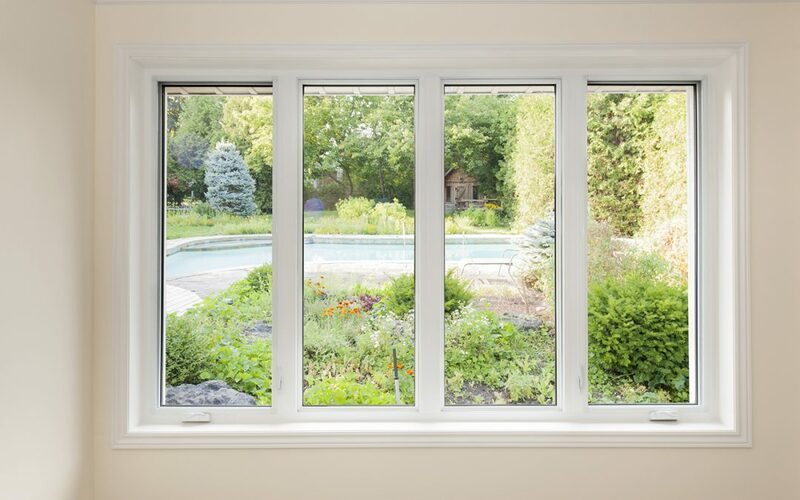 If you’ve had the same windows and doors on your home for decades, then they are prime targets for letting heat and cool air out of the house. Through the years, houses shift, and such shifting can create stress on doors and windows. Cracks and gaps form, and it is through these cracks that you’re seeing the rising cost of your energy bill. One quick and easy method to improve energy efficiency at home is to replace your doors and windows. There are numerous windows that have come a long way in conserving energy. Do a little research to find those that are ENERGY STAR certified and have them installed. You’ll want to consider weatherstripping them, too, just as an extra measure to keep the desired temperature from escaping the home. Although it is not possible for every home, if your roof allows you to install skylights, you may want to consider it as a way to add extra light to your home. Energy efficiency isn’t all about just keeping the heat and cool air where it needs to be, but also has to do with the amount of electricity you use for lights. A way to cut down on your light usage is by installing windows that allow for a great deal of light to be brought into the home. Skylights are an excellent tool for this. They’ll let in a lot of direct light, reducing the need to turn on lamps for longer. For those homes who cannot install a skylight, you may wish to consider a bay window instead. This large window acts similarly and allows more light to enter your home. Without needing to turn the lights on for a longer period of time, you should notice that your energy bill will decrease. Be sure that anything your install is sealed and airtight. In your efforts to save a little extra money, these tips can help you improve energy efficiency at home and cut down on your energy bill. Sometimes you need to hire a professional home inspector to determine if your home’s energy usage could benefit from these tips. During a home inspection, some inspectors use a thermal imaging camera to detect areas of lacking insulation and air leakage. Choose a home inspector who includes thermal imaging for this added perk. Eagle 1 Home Inspection Services provides home inspections with infrared thermal imaging at no extra charge. Contact us if you need a home inspection or commercial property inspection in the High Desert of California.